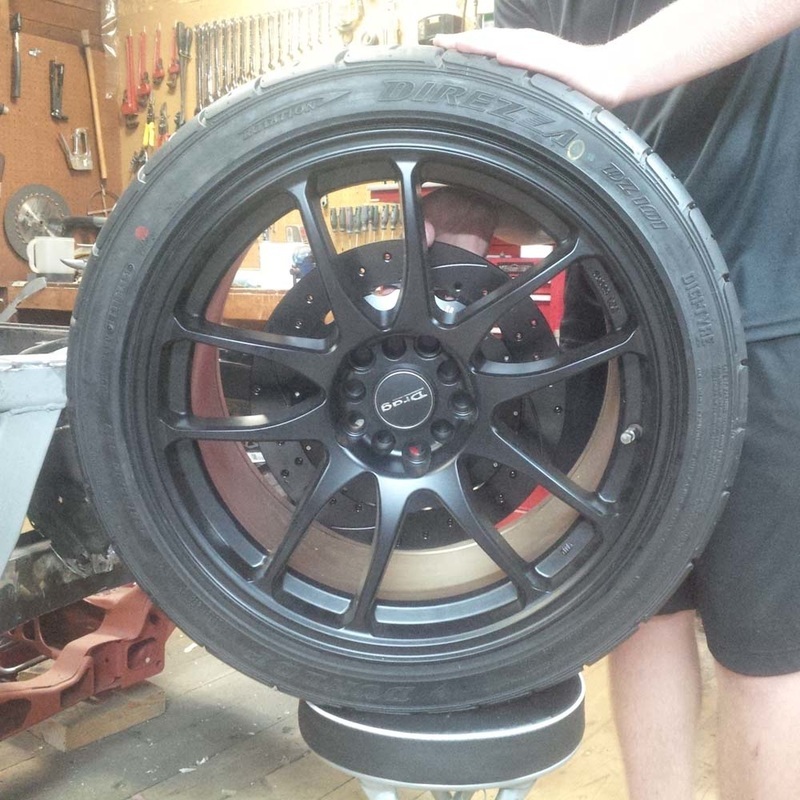 Like everything else regarding this project car, the braking system easily made the list of things needing an upgrade. There are many reputable companies that make brake components and the only limiting factor is your wallet........ well my wallet in this case. 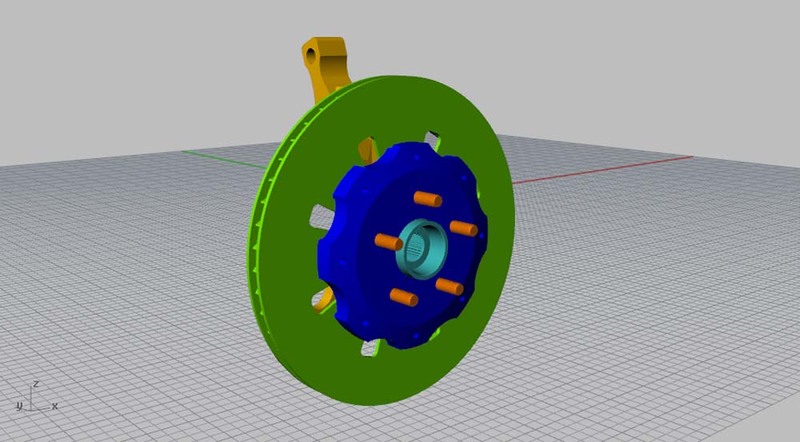 My plan is to upgrade the front and rear brakes, including rotors, calipers, pads as well as master cylinder and proportioning valve. 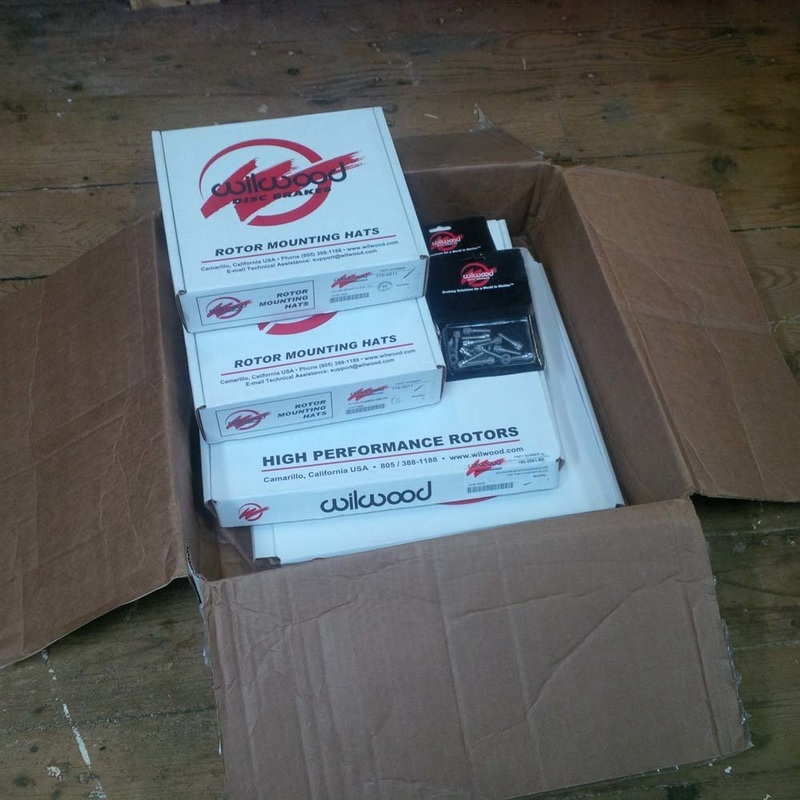 I also plan to upgrade the stock brake lines with custom formed stainless steel brake lines. 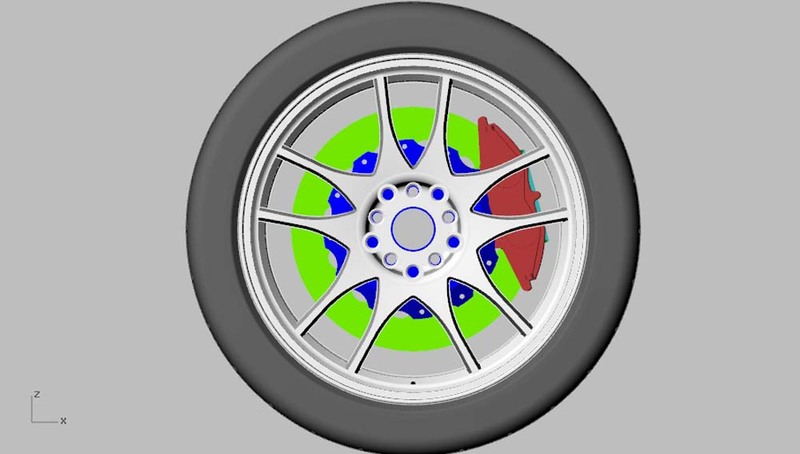 Since I am focusing on the rear of the car at this point in the build, I will just cover the rear brakes for now. 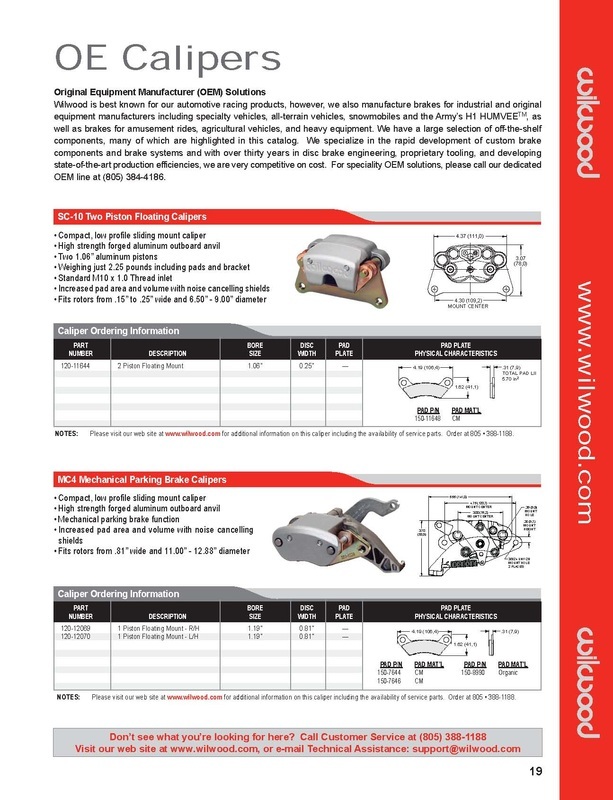 After searching the internet for manufacturers, I settled on Wilwood. 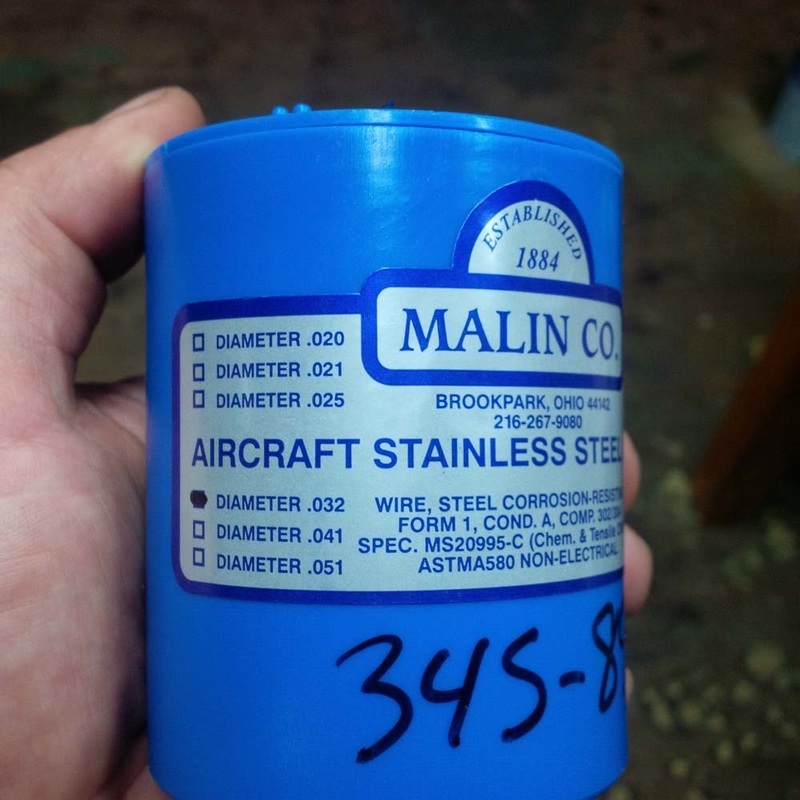 They have a huge selection of high quality components that aren't crazy expensive. 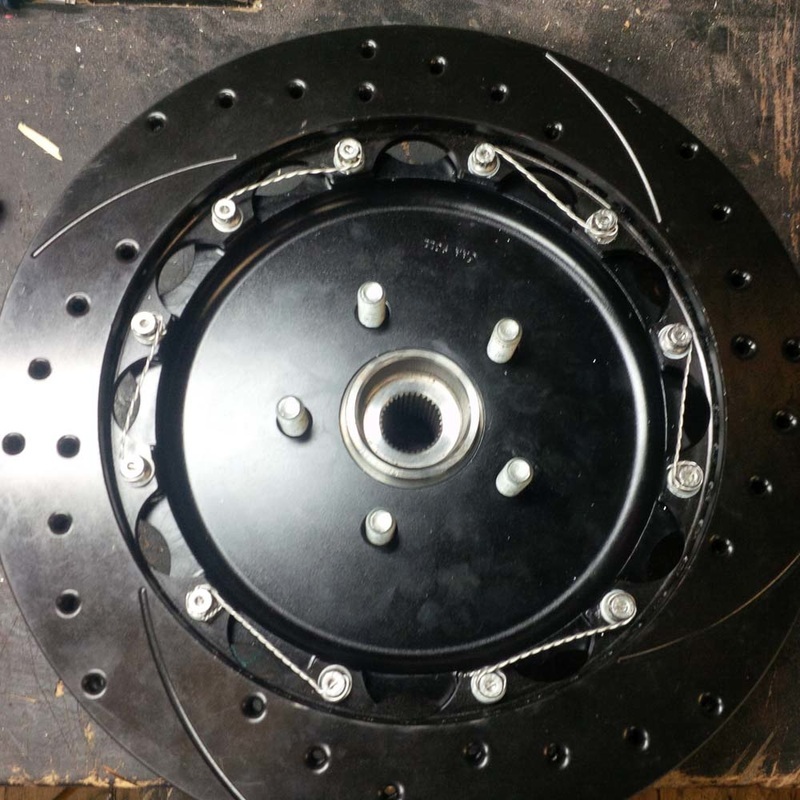 My first goal was to select my rear rotors and then build the rest of the system around these. 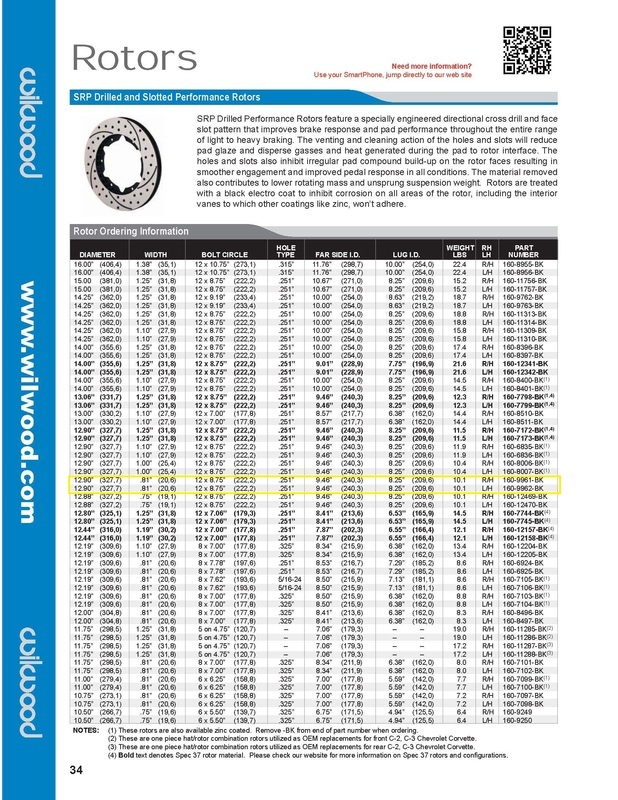 As my rear wheels are 18 inch, I was able to select a rotor that was 12.90 inches in diameter and 0.81 inches wide that was also vented and cross drilled for cooling. 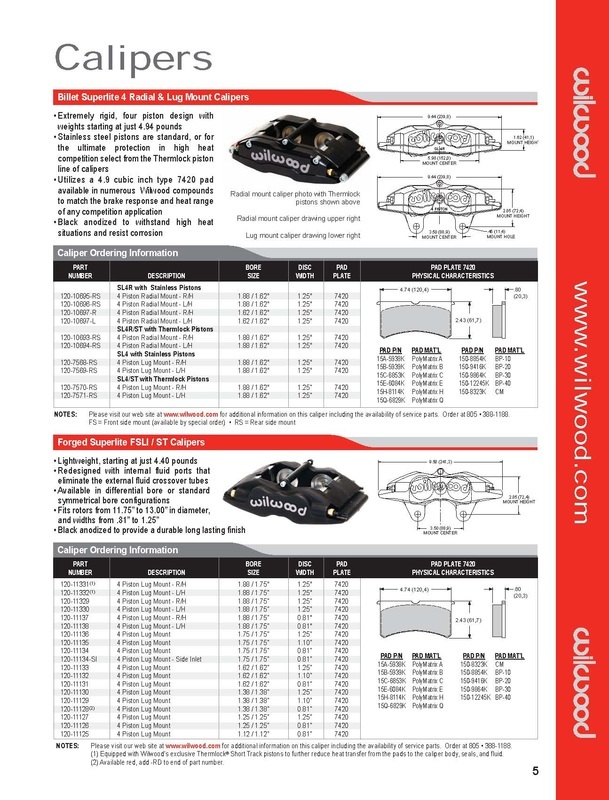 Here are the Rotors I decided on. 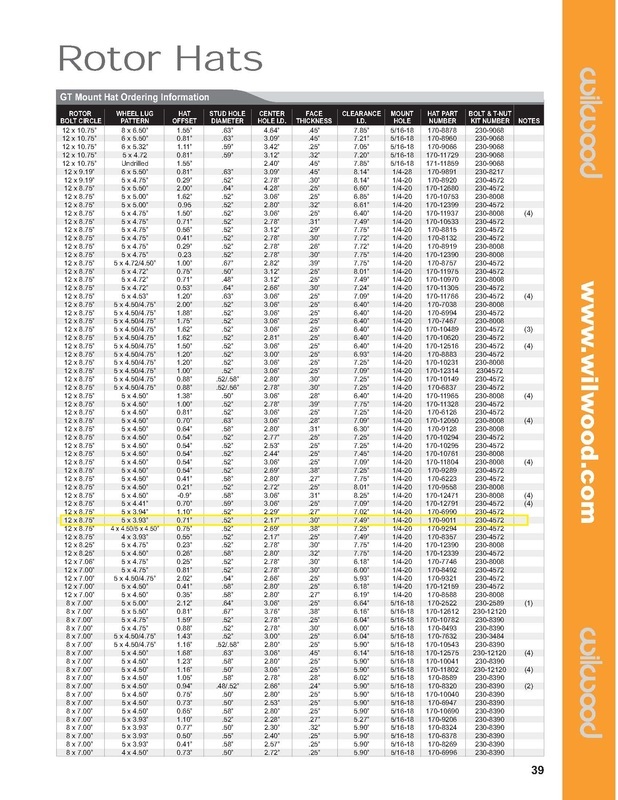 They are from the Wilwood SRP series. 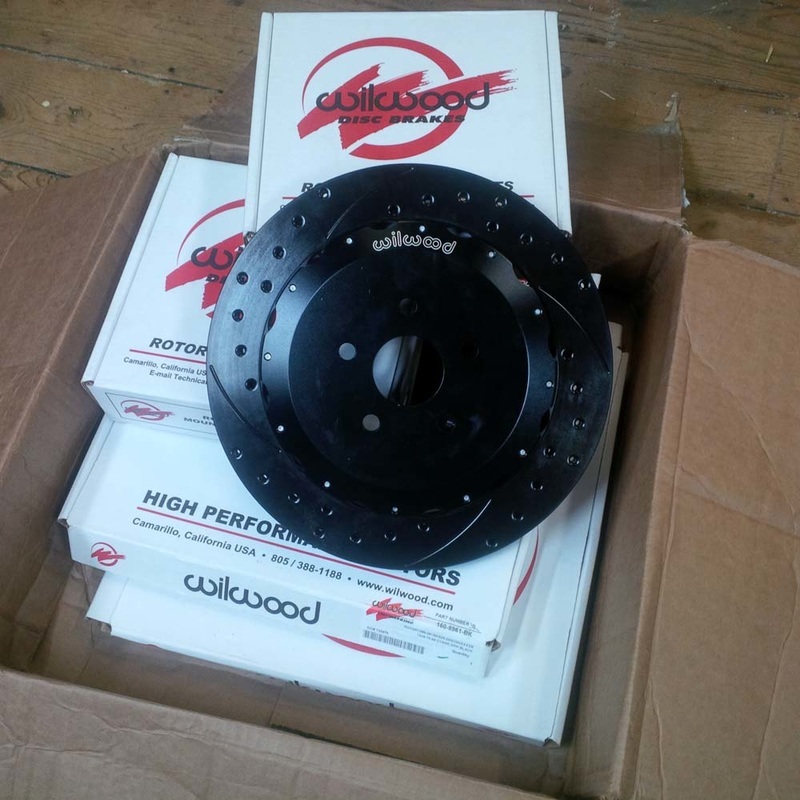 To go with these rotors, I chose a set of aluminum hats ( hubs) that have the matching bolt pattern of the rotors as well as the correct bolt pattern of the Fiero wheel studs. 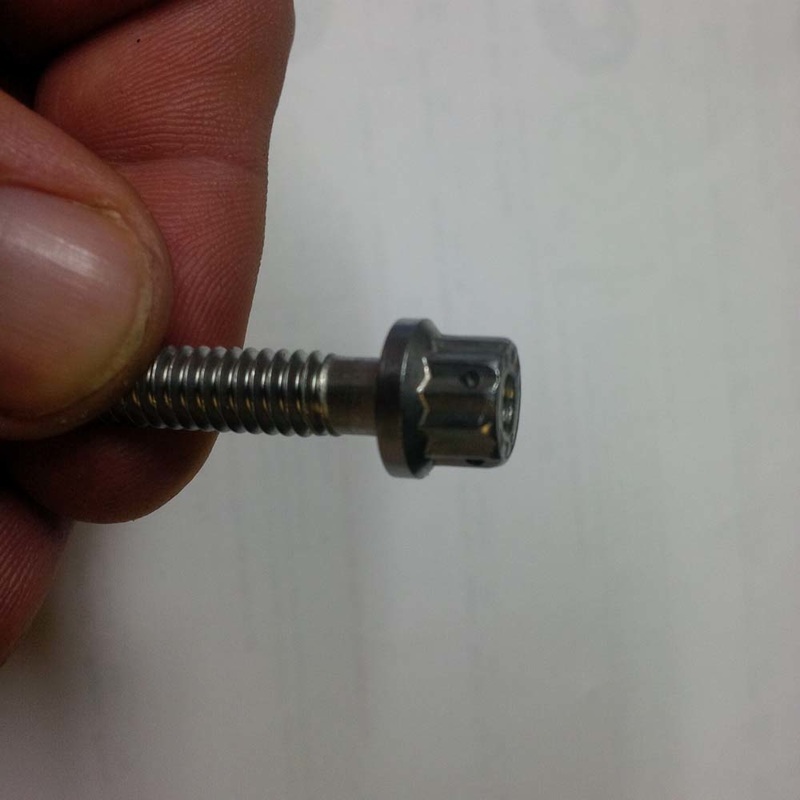 To fasten the rotors to the hats, I purchased the recommended bolt kit. 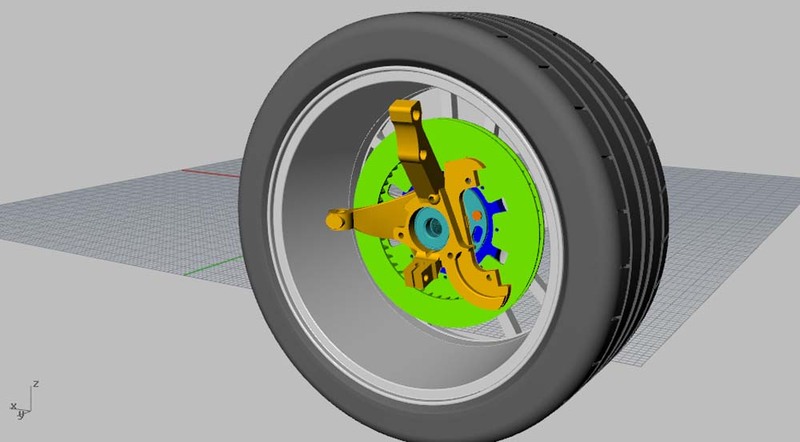 Before I actually ordered the brake components listed above, I added the rotors and hats to the 3D model of the rear suspension of the car, including wheels, spindle, bearings etc. Here is how they looked in my drawings. There was only one small point of interference between the rotor and stock spindle and I'll show how I took car of that issue later. 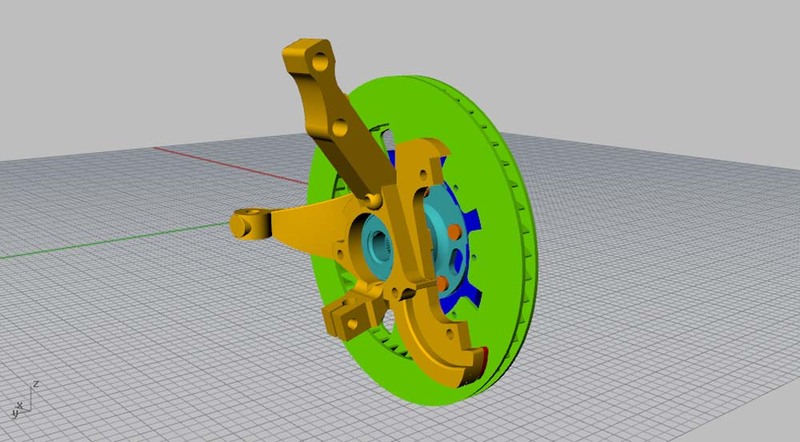 The parts appeared to look proportional to the available wheel opening. Once I was confident that all the components would work together, I made the purchase. This is how they looked when they arrived. 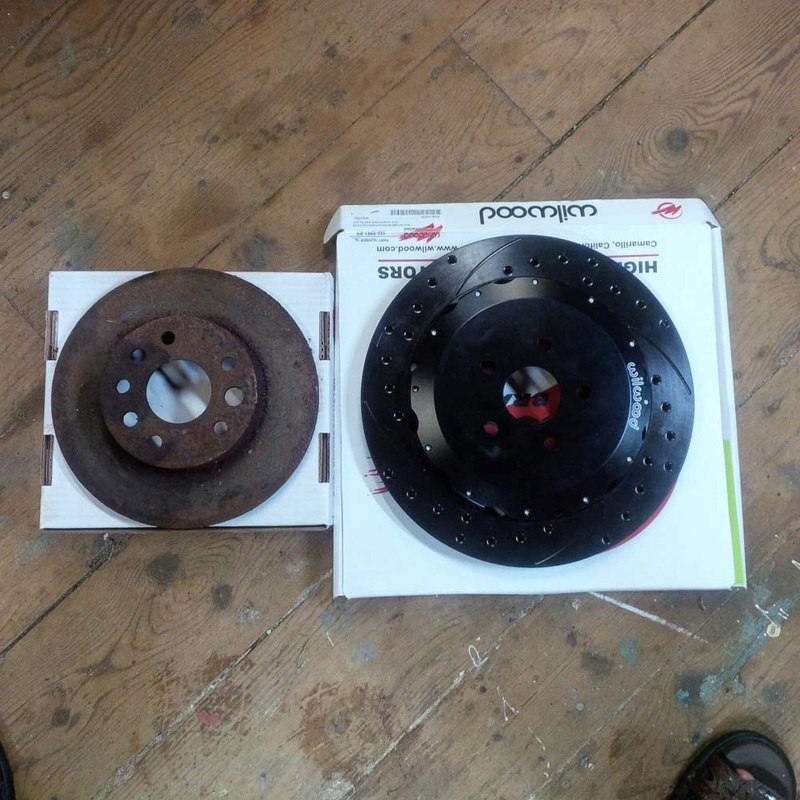 For comparison, here is the new 12.9" rotor next to the stock 9" Fiero rotor. The difference is quite significant. And here is how the new rotor looks with my rear wheel. 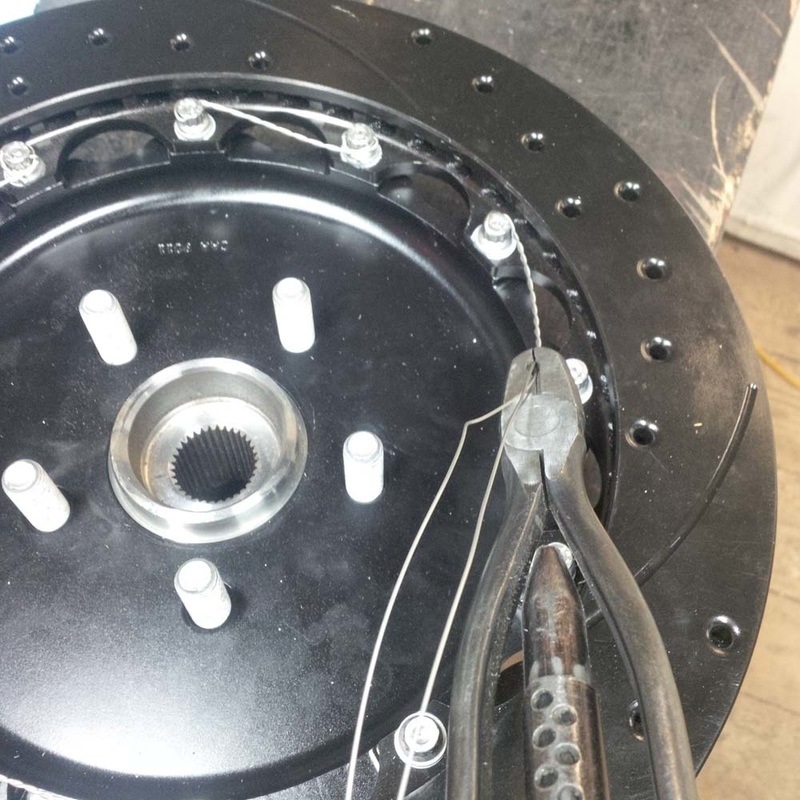 As I mentioned above, I purchased the bolt kit needed to fasten the rotor to the hat. 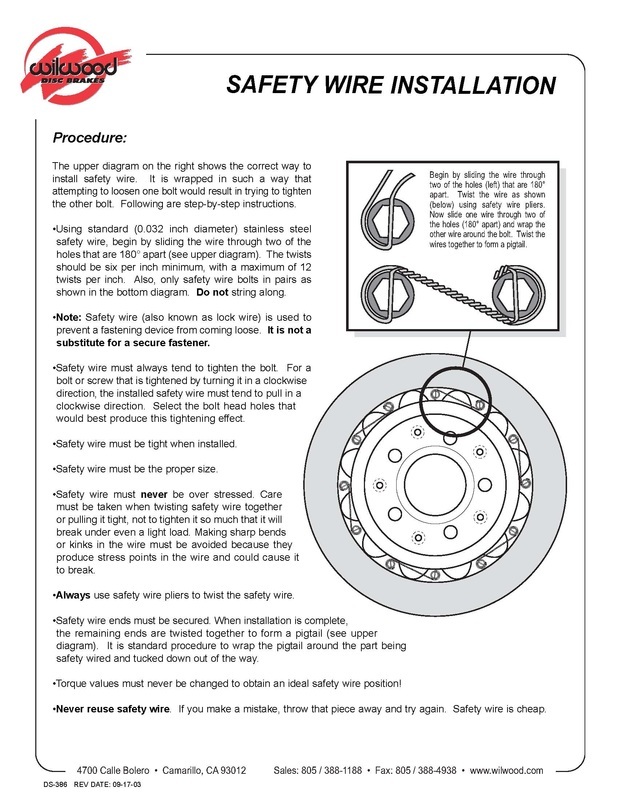 The kit came with instructions for torquing the bolts as well as installing the safety locking wire. 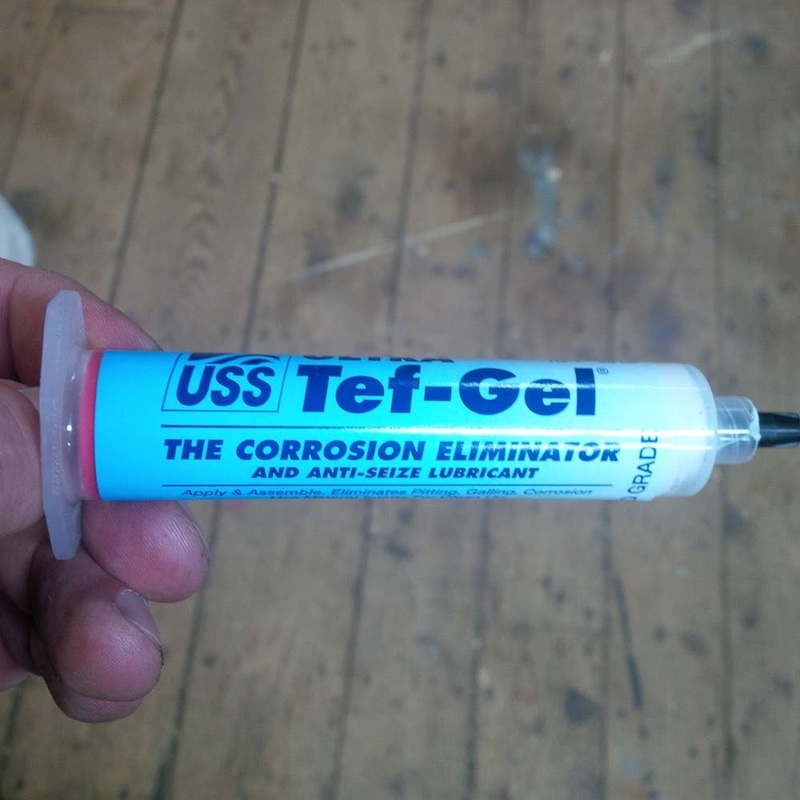 I applied Tef-gel anti seizing paste to the bolts as they are stainless steel being installed in the aluminum hats. I used 0.032" SS locking wire as recommended. 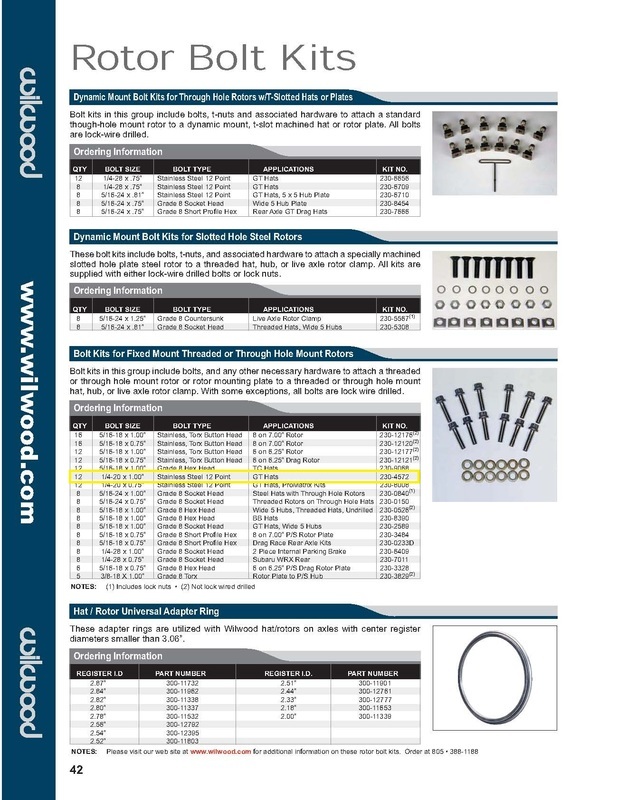 Here are the instructions that were supplied by Wilwood for installing the safety locking wire. And here is what it looked like during installation and when complete. 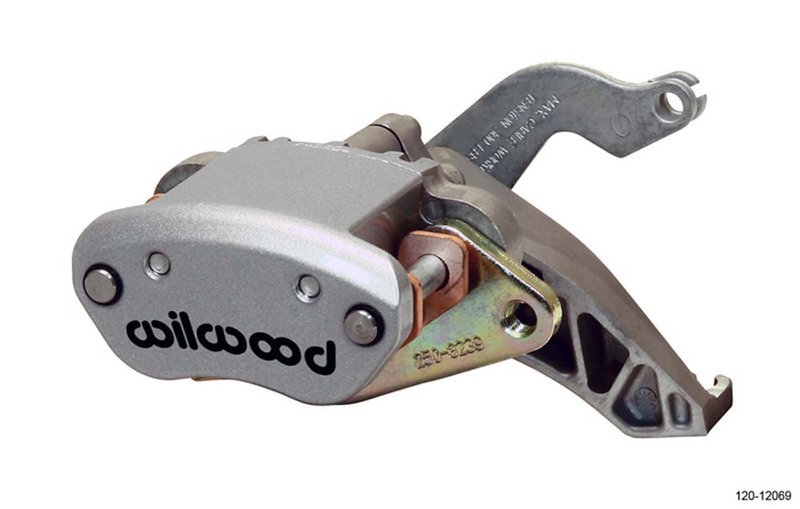 I have researched the topic of brake calipers to suit my installation and I have decided on Wilwood Billet Superlite 4 Piston Lug Mount units for 0.81" wide rotors. 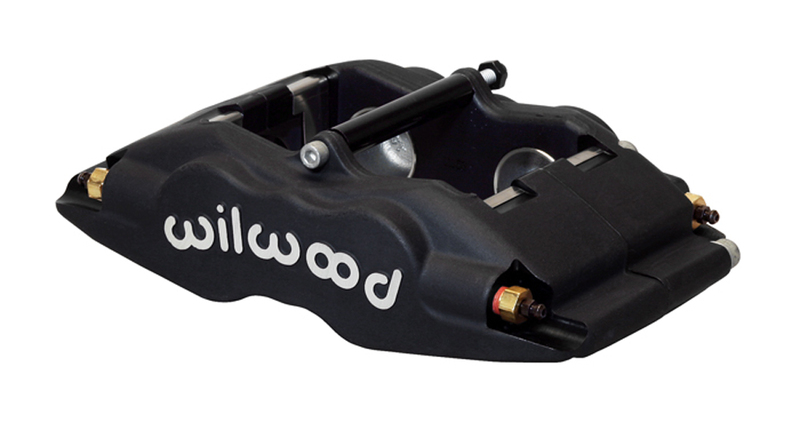 For the mechanical rear emergency brake calipers, I have selected the Wilwood MC4 units....... in black of course.